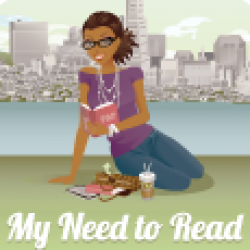 (Review originally published at Book Lovers Inc:)So, it’s official–this series just keeps getting better and better. Secrets of the Demon continues to build upon the first two books of the Kara Gillian series–Mark of the Demon and Blood of the Demon–following in the same tradition of combining police procedural with paranormal intrigue and a dash of romance.Though a direct second sequel, this book is can function well enough as a standalone title, no easy task to carry out. Relevant background information is presented quickly and strategically, setting aside enough time to properly orient new readers without slowing down the story. A happy side effect of this is that it’s possible to read Secrets seamlessly after a long hiatus from the previous titles, particularly due to the subtle inclusion of little inside gags and innocuous references. Even for a not-so-long hiatus, the background info is not overwhelming or tedious for fans.More than ever before in this series, there’s an infusion of the main mystery/procedural with paranormal elements. In the first two books, Kara was the key that brought the supernatural to her police work, as something that was vaguely helpful to her cases. Here, the supernatural is cropping up everywhere, enough to provide a true challenge to her in every aspect of her life. As always, the mystery element provides an entertaining brain tease. The red herrings are subtle yet diverting, and there’s enough balance of investigation and action to keep things interesting. The standout element in my mind, though, is still how convincingly the author can merge subgenres. You get a legit procedural along with unique UF/PNR.Speaking of subgenres, the PNR aspect is back and in full effect! Even so, while I thoroughly enjoyed the romance, I personally found some difficulty in reconciling the extremely perceptive Kara with the clueless, vaguely doormat behavior she at times exhibited as part of the love…shape (is it a triangle? A straight line? A wavy line?!). This is someone who catches the most subtle of behavior in others. The unapologetic, hardworking, committed badass. So for me, some of the pendulum-like inner musings and “wait, so does that mean he likes me?” moments were slightly confounding. That said, the feeling did fade with time. And in any case, Kara carries a story very well and is fun to watch develop.Both major and minor characters are very well fleshed out in this tale–In fact, at times, the secondary characters provided the best laughs and the most vigorous nods of agreement. Sarge and his dry wit…Jill and her sage advice (you go, girl!). The author takes care with all characters…and she takes her time.Boy, does she ever take her time. ^_^ I must say, reading this book and this series is a lot like watching the show Lost–you simply *must* resign yourself not finding out major secrets, or else you’ll drive yourself to the limits of frustration and back. (Though, I guess with a title like Secrets of the Demon, I guessed we’ve been warned. )As has become a hallmark for this series, the last act is thrilling, addictive, and quite unexpected. 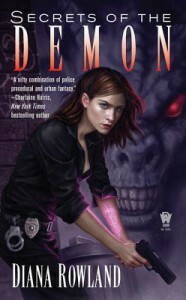 And overall, Secrets of the Demon is quite a lot of fun, with plenty of content to make you want to reread, and enough juicy teasers to have you pining for the next installment. Sure, you can read this book without having tried the first two… but you’ll be hard pressed to stop at the end of this tale.. . .Verdict:With Secrets of the Demon, it seems Diana Rowland has settled into her characters and storytelling style, and is showing she’s got a master plan for the series. Still, it’s a very accessible book for newcomers. All signs point to this being a series that gets better with every installment.